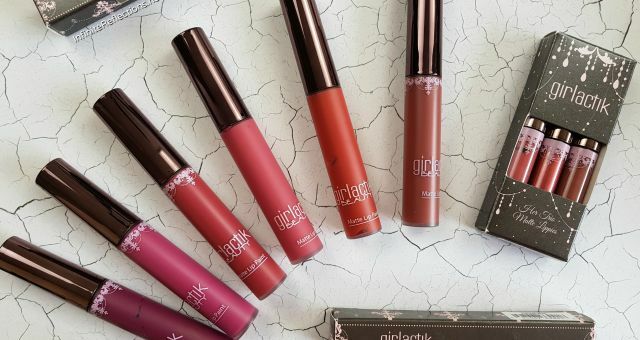 I have been wanting to review this liquid lipstick here on the blog for days, but I finally sat down to write down today. I have already reviewed this on my channel, so I will link the video down below for more information. Here, I will touch on key points. I got some from a local reseller here in Singapore from Shopee and some from ComaMakeup. 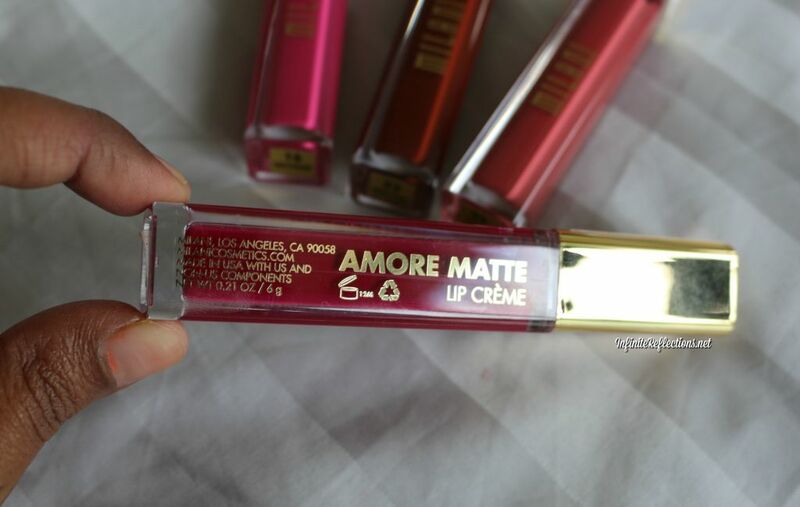 Recently, Milani has also launched on Nykaa in India. 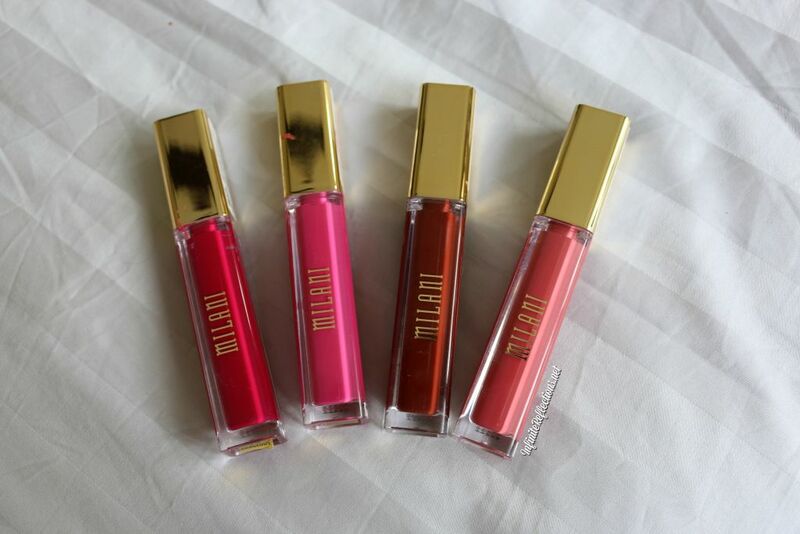 These lipsticks have a very nice attractive packaging with a clear acrylic body and a gold cap. There is a sticker at the bottom specifying the shade name. 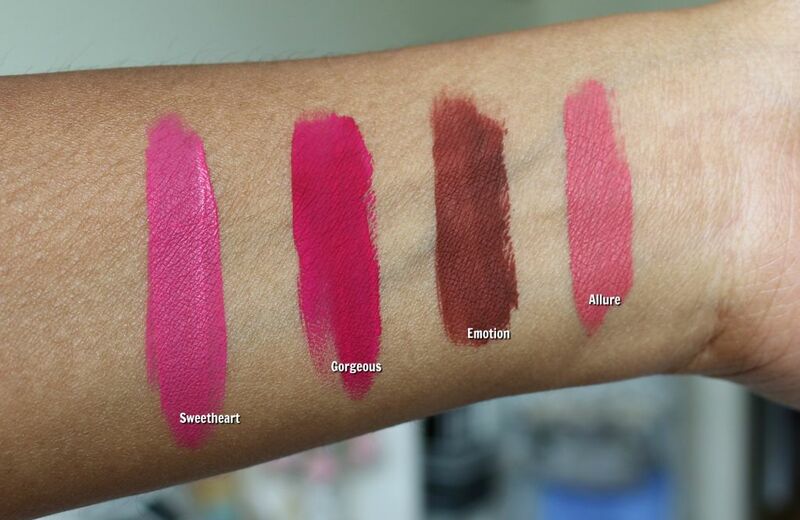 Since, the body is clear it’s easy to spot a particular lip shade. All the product details are nicely mentioned on the packaging as well as shown below. The applicator on the lipstick is flat almost like a sponge tip applicator. I usually prefer a pointed doe-foot applicator on a liquid lipstick for precise application, but I did not have any issues applying the lipstick with this applicator. 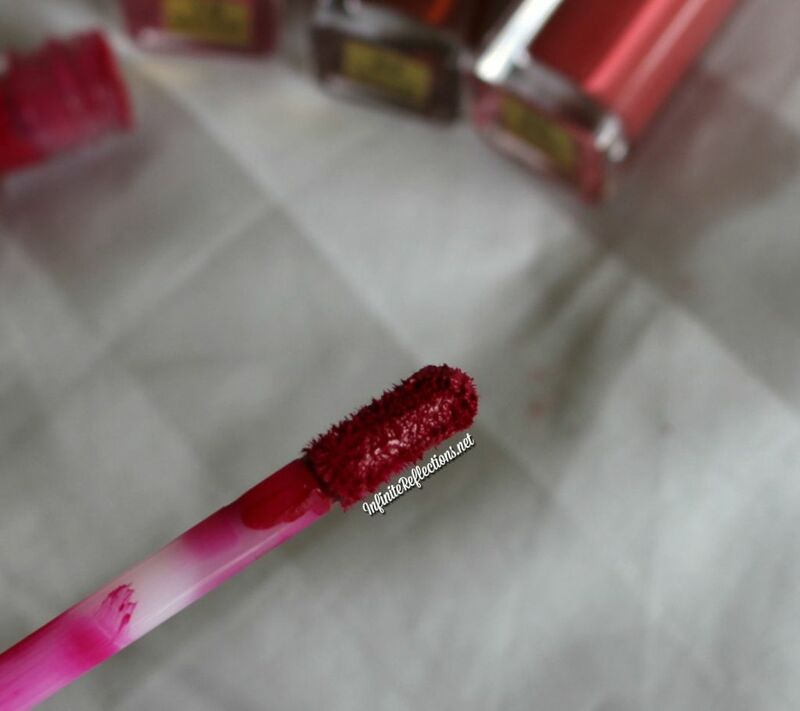 It was quite an easy application and I was able to line my lips with this and then fill it up. I got this is Singapore in the price range of SGD 18-20, depends on the reseller you are buying from. In US, I believe they are around USD 8, which is way cheaper. Of course, by the time makeup products reach countries outside the US, the prices rise significantly because of shipping rates, taxes, etc. In Singapore, this price will still be categorised as drugstore pricing since most good drugstore lipsticks here range between SGD20-25, so I am still quite ok with the pricing. 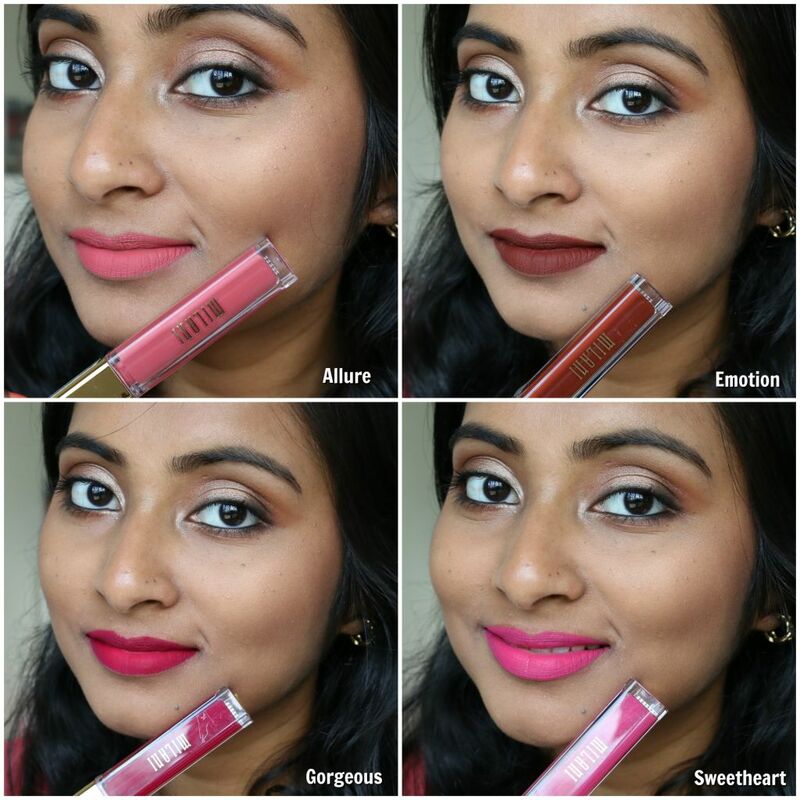 I have got 4 shades and I feel that all of them are superbly pigmented. 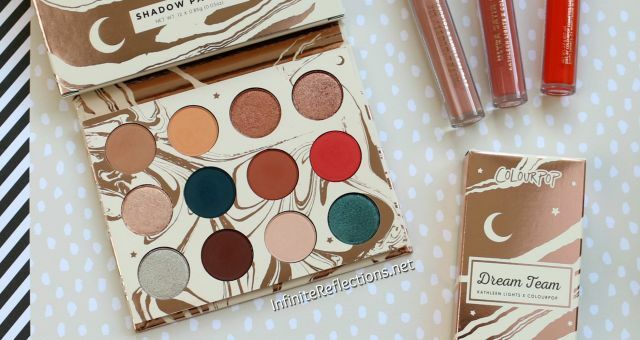 All of them gave me full colour payoff in single swipe and all the shades look richly pigmented. Even on my pigmented lips, all the colours went on very smoothly and they did not need a second layer (although I did go with a second layer for most out of habit) . These lipsticks are not liquid like or very mousse like, they are somewhere in between with a semi-mousse like texture. They glide on the lips effortlessly. I did not experience any patchiness or streakiness with any of the colours I have. These lipsticks are completely matte liquid lipsticks drying down to a traditional powder matte lipstick formula. After application, they dry down to a matte finish within 30-45s and there is no tackiness after drying down. These lipsticks dry down completely matte and I did not find them to be tacky either. Inspite of this, they are very comfortable to wear. 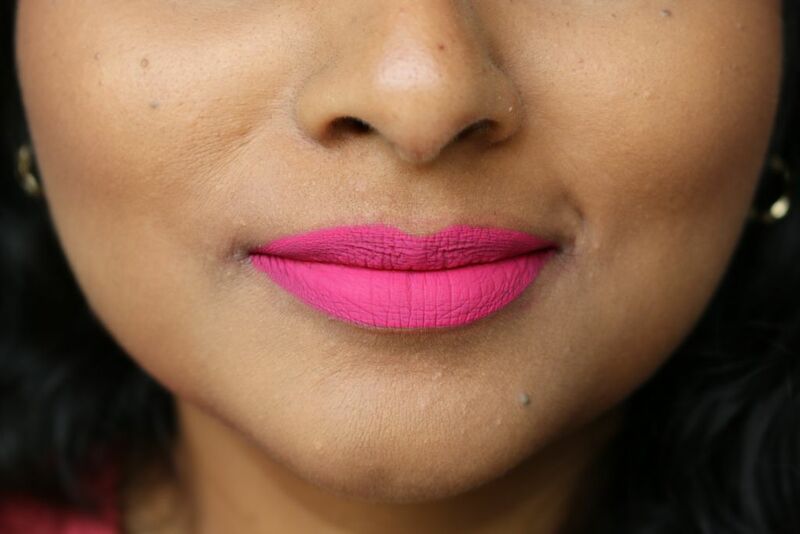 Usually, lipsticks which dry down matte without any tackiness can be quite drying on the lips. These lipsticks don’t feel drying at all. 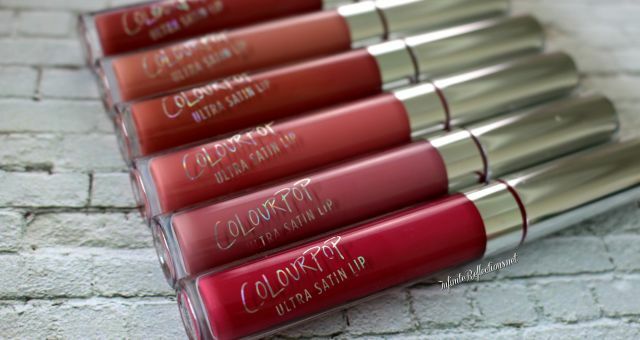 If you are a liquid lipstick lover, you will immediately know that these are so comfortable to wear. 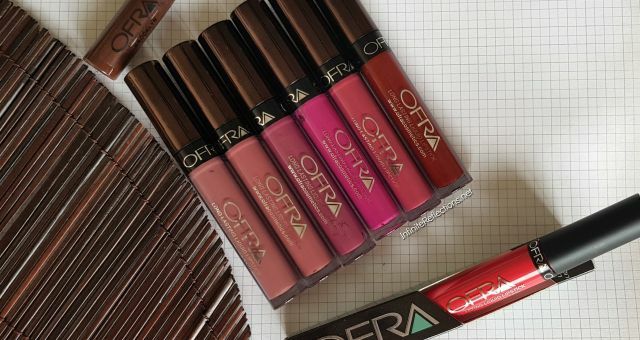 I have worn these lipsticks for 8-9 hours straight and they have stayed really well on the lips and they have also been very comfortable thoughtout the wear. Of course, towards the end of 8 hrs they do feel a bit drying but I think all liquid lipsticks by that time will feel extremely drying. They also have a good staying power, and it did not wear out after light snacks. There was a slight fading from the inner rim of the lips but they are also quite easy to touch up. Some matte lipsticks start flaking, peeling or balling up when you touch up in this situation. I did not find anything like that happening with these (maybe I got the good colours, can’t speak for all the colours). I also did not find any flaking or peeling of the lipstick during the wear and by the end also they were looking pretty good. I have swatched the 4 shades on my skin tone here. I hope this was helpful. Any questions, please comment below. Gorgeous is a awesome shade. Looks so amazing on you. Planning to get this one atleast though it’s overpriced in Nykaa too. Thanks so much 🙂 Yup agree with you completely.